Prof. Mak was formerly Head and Professor of the Department of Applied Social Sciences (APSS) of PolyU. She joined the Hong Kong Polytechnic in 1978 and has made significant contributions toward the institution’s attainment of university status. A leading practitioner and scholar in the social work field, she is one of the pioneers in introducing the profession in the Chinese mainland. Professor Mak has served on the University Grants Committee. 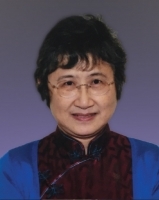 Upon her retirement, she has continued to serve PolyU as Honorary Professor of APSS.